We love the Grainger Market. If you’ve never been before, we whole-heartedly recommend it! It really is a foodie heaven, what with Pet Lamb Patisserie and Pizza by the Slice, as well as The Health Box and loads of delis packed to the brim with interesting and unique products. I had a day off work, and MrJ had a gap between all his lectures, so we decided to go somewhere for a quick lunch! 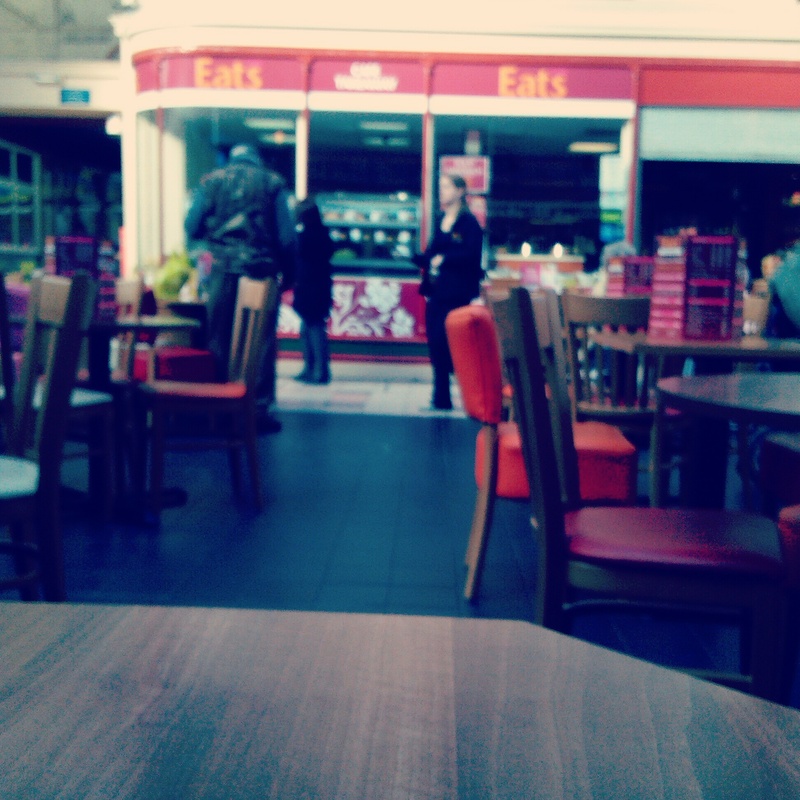 We opted for Eats Cafe in – you’ll never guess it – the Grainger Market! I’ve had many a delicious vegetable soup and roll from this place when on a lunch break at work, and the service is always so friendly, and the food is proper home-cooking! I’ve never stayed in their little cafe part before, as I’ve always been pushed for time. So it was really nice to eventually sit down and enjoy what their lunch menu has to offer! MrJ got a Hot Roast Beef Stottie (£3.95) and I got a hot chocolate (£1.70) with two toasted crumpets with butter and jam (£1.10). The service was quick and cheerful, and in no time at all we had our delicious brunches/lunches in front of us! The atmosphere was so lovely as everyone is bustling around the Grainger Market doing their shopping and running errands, yet we are sitting amidst it all having a lovely lunch date! I really liked the layout of the cafe and how there was a mixture of booths and tables and chairs. All-in-all, a good value lunch and fantastic service! 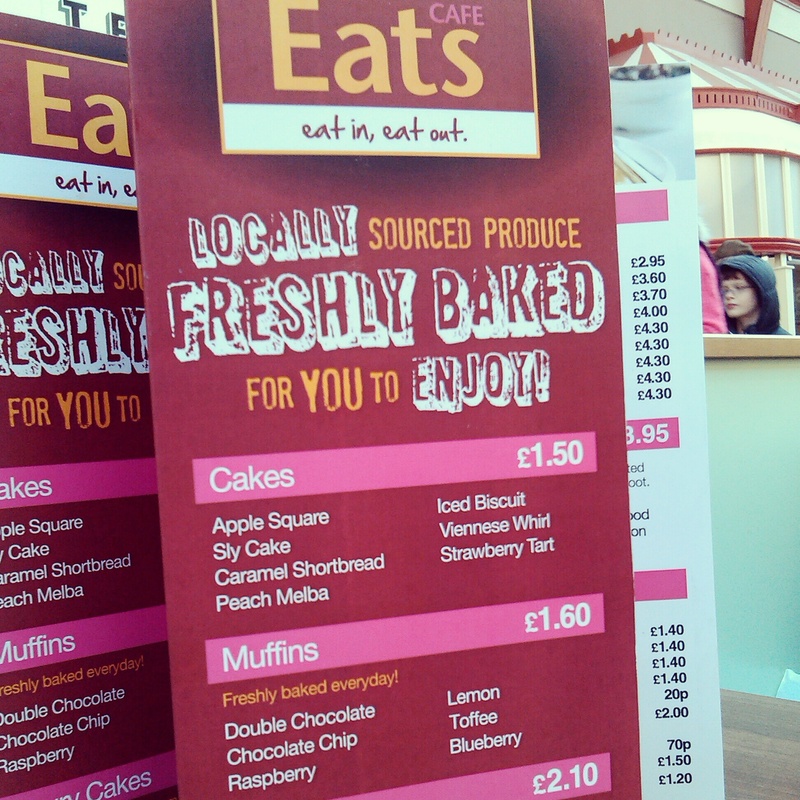 Eats Cafe can be found in the Grainger Market, Newcastle. Also, check out their offers page here.